Coming August 18, 2013. 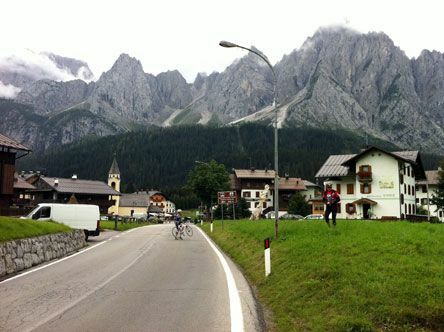 Though TrailblazerGirl usually likes to feature women-only tours, we couldn’t pass up sharing with our readers the Vienna to Venice Tour with Erickson Cycle Tours. It promises to be a fantastic 15 days filled with magnificent alpine scenery, quaint villages, beautiful green meadows and blue lakes, and the soaring peaks of the Dolomites. Recommended for intermediate and experiences cyclists, you’ll travel 50-80 miles per day with an altitude gain of 5,000-8,000 feet, but different route options will be offered so that you can challenge yourself or just take it relatively easy. Starting in Vienna and ending in one of our favorite cities, Venice, you’ll have a fantastic journey.